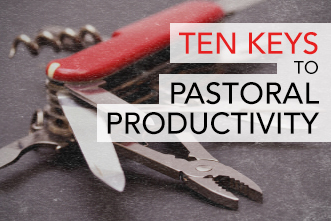 Pastors are busier than ever, but I’m pretty sure our ministries are not more fruitful than ever. 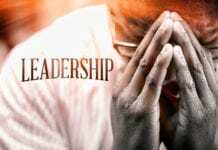 How can we aim what we spend our time on toward what will be most effective for our ministries? How can we cut out what is least effective for our ministries? Since we’re both busy, I’ll cut to the chase. If you’re looking for a productivity boost, try these 10 experiments. So, this first one is more of an imperative than an experiment. How much does anxiety about your productivity negatively impact your productivity? Well, that’s how sin works: It is a self-destructive parasite that annihilates what it clings to, all the while promising to help you flourish. Who was more productive than Jesus? Who produced more than Jesus? And—here’s the clincher—he applies his work to you through the gift of the Spirit, and empowers you to do your work through the same. Faith in that truth gives your soul rest. A soul at rest, as it turns out, can get a lot of things done. 2. Try cutting out fake productivity from your reading diet. Fake productivity books and blogs (Lifehacker, anyone?) give lots of gimmicky tricks that will supposedly make your life immediately easier. But most of the time, you probably just say, “Huh. That’s neat,” and don’t do anything about it. Those fake productivity resources are a double edged sword. Not only do they take you away from what you need to do, their tips give you only superficial advice on how to do your work better. 3. Try identifying the least productive hour of your workday and exercising instead. Exercise increases productivity. If you’re really skinny like me, or haven’t worked out in a while, calisthenics will be more than enough for you. Here is a great resource that has all your workouts for the next seven weeks planned out for you, so you don’t have to procrastinate getting to work by comparing gym prices, writing workouts for yourself or surfing Craigslist for kettle bells. 4. Try not checking your email until 11 a.m.
What important goals could you tackle if you had three uninterrupted hours of work each morning? How much better would your sermon and teaching prep be? I guarantee, your church will not collapse if you save email for the last thing you do before lunch. You might even find that goals get accomplished much faster. 5. Try working from a stand-up desk. Studies show that stand-up desks make you more productive and healthier. While a lot of them look pretty ugly, or are ridiculously expensive, this one doesn’t look bad and isn’t too much. Previous articleFree Creative Package: "Letters in Red"